PBNSGRecipe CollectionPP Cuban Sushi Burrito with Beans and Rice, Sauteed Garlic Lime Corn with a Spicy Sriracha "Aioli"
PP Cuban Sushi Burrito with Beans and Rice, Sauteed Garlic Lime Corn with a Spicy Sriracha "Aioli"
In a large sauté pan heated to medium high, dry sauté the onions for about a minute. Deglaze the pan with a teaspoon of vegetable broth at a time. Add the pepper and continue to sauté. Stir in the garlic and sauté for another 30 seconds. Stir in the vinegar, beans, tomato paste, sugar, oregano, cumin and salt. Mash some of the mixture with a potato masher (about a cup) and continue adding the rest of the vegetable broth to keep the mixture moist. Reduce the heat and simmer for 15 minutes stirring occasionally. In the meantime, heat another sauté pan to medium high. Add the garlic and dry sauté for 30 seconds. Add the corn and a few teaspoons of vegetable broth and continue to stir. Add lime juice and sea salt and stir until the corn is slightly browned. Process the beans, milk, Sriracha and sea salt in a blender until smooth and creamy. Enjoy the beans and corn over cooked rice with some spicy bean Aioli or roll into a sushi burrito. 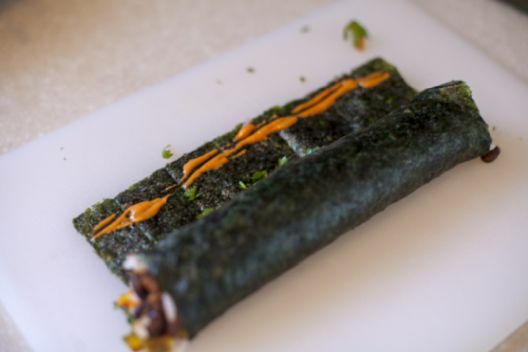 Use in a no oil added taco shell, soft tortilla, a steamed collard-wrap or a rice paper wrap. Mix into a leafy green salad. Serve over cooked quinoa or millet. Chef Lisa Franzino, Director of "Culinary Empowerment", in concert with founder Heather Borders, the "Chief Empowerment Officer" at Kailo Nutrition, teach Floridians to empower their health with a plant based lifestyle. 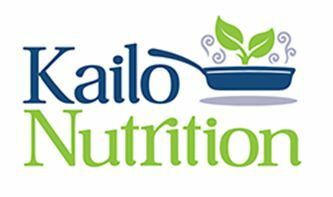 Visit them at Kailonutrition.com.